Berkshire Hathaway HomeServices Georgia Properties Real Estate App. Get the most most local and accurate app for finding homes for sale and rent in Atlanta Metro and North Georgia. • Search houses in your area using our GPS enabled search, by map or your specific criteria. • Search for new homes, luxury properties and even sold properties. • Draw your own search with your fingertip. • Use our "augmented reality" Property Scan feature to see what properties are for sale in your immediate area. • Save your favorites to your My Home Finder account so that you can quickly find them later. 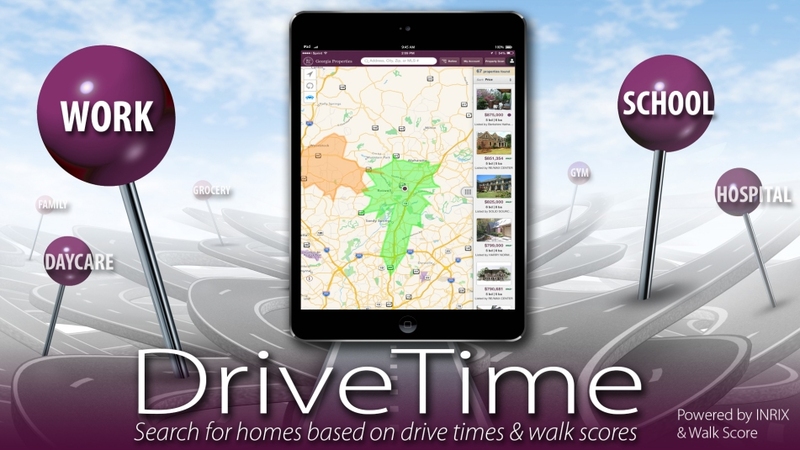 • Drive Time is the powerful new feature of our App that allows you to narrow your home search based on the location of work or school and expected commute time.